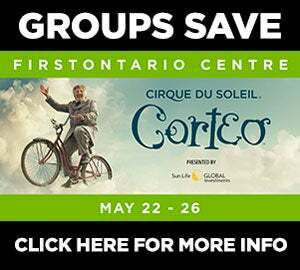 Please note, there is an 8 ticket limit, and no first day sales at the FirstOntario Centre Box Office. 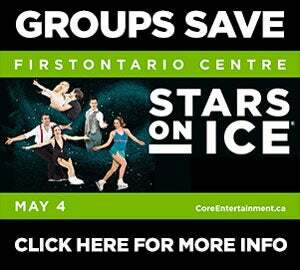 All first day sales will be sold via Ticketmaster.ca. Goldenvoice and Powerhouse proudly bring one of the hottest K-pop groups in the world, BLACKPINK, to North America for the first time as a part of the BLACKPINK 2019 WORLD TOUR with KIA - IN YOUR AREA [HAMILTON] presented by YG Entertainment. BLACKPINK will perform six North American concerts, one each in Los Angeles, Chicago, Dallas/Ft. Worth, Atlanta, Newark, and Hamilton, Ontario Canada, in addition to their two appearances at the Coachella Valley Music and Arts Festival this April. On February 11, the group will perform on CBS’s ‘The Late Show with Stephen Colbert’ and on Tuesday, February 12th, they will make their debut appearance on ‘Good Morning America’ on ABC. Since first bursting onto the scene in 2016, BLACKPINK redefined the possibilities of K-pop, transcending all categorization and ascending to global stardom. Their unstoppably catchy single ‘Ddu-Du Ddu-Du’ music video reached over 600 million views, becoming the most-viewed K-pop music video. ‘SOLO’ music video by a member Jennie also surpassed 200 million views alone. Discovered by YG Entertainment BLACKPINK is comprised of JISOO, JENNIE, LISA, and ROSÉ—four immensely charismatic vocalists, dancers, and burgeoning fashion icons. Released in 2016 their debut “Square One” quickly proved their crossover power. “Square Up” was released in June 2018 release and shot to #40 on the Billboard 200 and #1 on the Billboard World Albums chart. Several months after “Square Up” hit the charts, YG Entertainment and Interscope Records announced a global ex-Asia partnership fo BLACKPINK, paving the way for the group’s international breakthrough. Their fast-growing followers now includes 17 million YouTube subscribers, 15 million Instagram followers, and 14 million monthly listeners on Spotify. BLACKPINK is the first K-pop girl group to perform a world tour with a live band. Through this, BLINKs (the fan club of BLACKPINK) around the world will be able to enjoy their rich music and all the live spectacle that can only be experienced at YG concerts.